Digital versions of Backdoor Revolution for both iPad and Kindle will also be available here on January 23rd. 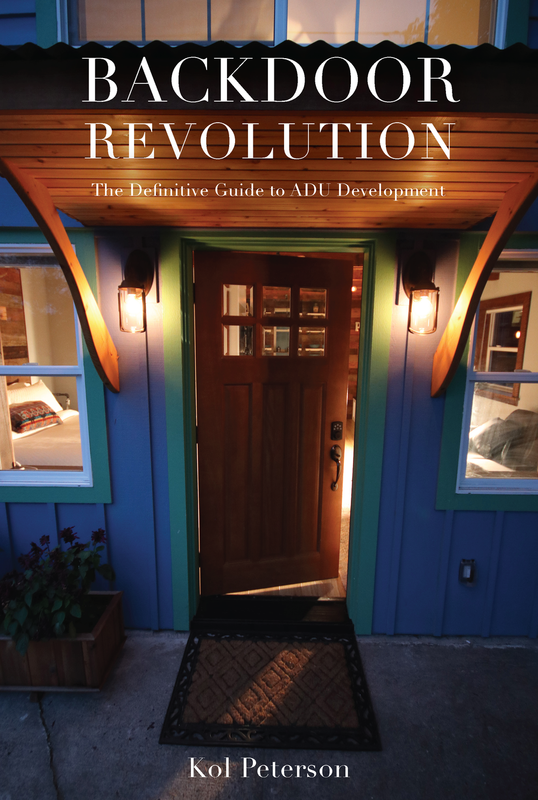 This book covers ADU costs, financing, design, the development process, zoning barriers, and regulatory loopholes. It will help explain the costs involved, financing strategies, and the legality of alternative dwellings on residential properties in general. The author, Kol Peterson is an ADU expert based in Portland, Oregon, who has helped catalyze the exponential growth of ADUs in Portland over the last decade through ADU advocacy, education, consulting, policy work, and entreprenuership. He is the owner of Caravan- The Tiny House Hotel, the first tiny house hotel in the world, and organizer of Portland’s popular ADU Tour.